safe and filled with light. The early Norse people followed a pagan faith, which means they believed in many different gods. Odin, the All father, was the chief god. Odin’s son Thor was the god of thunder and carried a powerful hammer. Loki was a mischievous god who played tricks on the other gods and the people on earth. The stories (called “sagas”) that the Norse told about their gods were full of drama — the gods married, had children, had affairs and sometimes separated and swapped partners. The stories also involved mythical monsters and beasts. The gods would often fight and try to prove their own powers. One example of such a story is when Thor tried to lift a giant cat in an effort to show his strength. He failed, only being able to lift one of the cat’s paws. The gods lived in Asgard, which was connected to the human earth by a rainbow bridge. As the Vikings traveled the world they adopted the Christian religion. They referred to their old beliefs as Forn Sed: The Old Custom. To Wiccans and Witches, the phases of the moon have special meaning, giving structure to the levels of energy available for magickal workings. The phases are modified by the position of the moon within the lunar and the zodiac years. With all these correspondences it may seem quite confusing as to when you can actually focus on any specific workings. As a general rule the phasing correspondences (Full, Dark, waxing, waning, etc.) are the strongest influences, followed by its placement within the lunar year, and lastly by the astrological month. I tend to think of it like the effects of three magnets upon a metallic pendulum, the Phase being the strongest magnet, followed by the Position within the Lunar Year as a smaller magnet, and the Astrological Correspondence being the weakest one still. All three have their part to play in deciding the position the pendulum will come to rest, but in lessening degrees, though when they all align together then it is portent of very strong energy for the task that is indicated. Arretophoria, nymph festival of Maiden and Amazon Goddesses: Artemis, Diana, Oya, Selene, Luna, Hina, Daphne, the Maenads, Bunzi, Athena, Minerva. Also in Rome, a day of the Lares, the Household Goddesses, Mania, Mana or the Manes who are Maya or Macha, female power. On Thursday, December 27, We honor…..
About Odudua: In the beginning, Odudua created the earth and its people. In Yoruban tradition, she presides over all matters of fertility, love, and community. Her sacred color is black. To Do Today: This African American festival celebrates family unity and the black culture. It is also a harvest festival whose name means “first fruits.” Every day of the celebration focuses on important themes, including Odudua’s harmony, determination, community responsibility, purpose, creativity, and faith. one black candle lit (in a safe container) to honor the goddess’s presence during this time. To inspire Odudua’s peaceful love in your heart and life today, wear something black. This will absorb the negativity around you and put it to rest. And we have just arrived to Thursday, named after Thor, the Norse god of thunder. He travels through the heavens in a charriot, wearing a special belt and iron gloves which give him extra strength to lift his giant hammer. Romance languages based their fifth day’s name upon the Latin Dies Iovis, meaning the Day of Jupiter (jueves in Spanish, jeudi in French, giovedi in Italian). Jupiter was a chief Roman god, the god of laws and social order. His attribute was a thunderbolt. It is best to find a work area that you can leave untouched for 3 days. If you must put away your tools, try to leave the spell candle out in the open. Prepare your work area by setting up any tools you may be using in addition to your spell candle. It is best to find a work area that you can leave untouched for three days. If you must put away your tools, try to at least keep your spell candle out in the open. This spell is used to protect yourself from mental attacks. 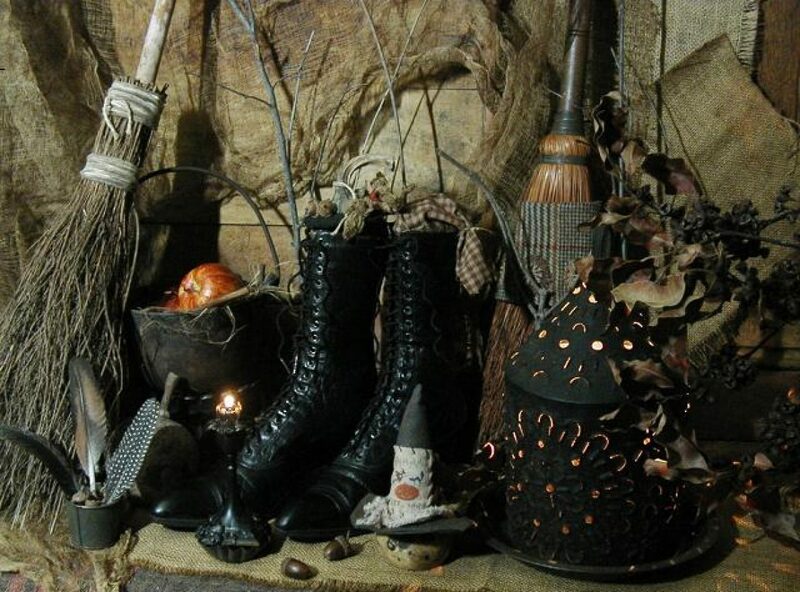 Prepare your work area by setting up any tools you may use in addition to your spell candle. Love or protection incense is recommended (herbs or oils can also be used). While setting up your area, CONCENTRATE on the purpose of your work. Bathe in purification herbs, or with your favorite bath salts. While you are bathing, concentrate again on the purpose of your spell. Do not let negative thoughts enter your mind. After bathing, go to your work area. Cast a circle and light some incense. Envision a large, white ball of light surrounding you, your work area, and your home. Hold the candle between the palms of your hands and direct all of your positive energy into the candle. Sit back and watch the candle burn. Keep visualizing the white ball of light and protection around you. Envision your Higher Power blessing you and protecting you from harm. See yourself blessing whoever or whatever it is that brings harm to you. Bless them so that they may be happy and will no longer wish to cause you harm. Feel the peace and love. Extinguish the candle- don’t blow it out, though! Just muffle it or pinch the flame out, many believe blowing a candle out diverts the energy and shows disrespect. Repeat this for two more nights. On the last night, after the candle has burned away and the leftover wax has cooled, discard the wax in the garbage to symbolize throwing away that which causes you harm. You have been blessed with Light, Love, Peace, and Protection. Whatever was causing you harm will no longer do so. According to Maya mythology, before becoming the celestial objects that we see today, the Moon and the Sun were terrestrial creatures. The Moon was a young lady, while the Sun a brave hunter. They fell in love. After some events, they fled away together. The young lady’s grandfather got mad at her and he had her killed. The dragonflys collected her body and her blood, and they put them in thirteen hollow stumps. Meanwhile, the Sun had been looking for his lover for thirteen days. On the thirteenth day, he found the stumps. Twelve of them gave life to harmful insects and snakes. They started filling in the entire world with their offsprings. From the thirteenth one, the Moon came out: she had come back to life. On Friday, December 28th, We Celebrate…..
ABOUT THALIA: Among the Greek muses, Thalia is the goddess of festivity and humor. She inspires today’s celebration with unbridled revelry and joyfulness to round out year on an upbeat, playful note. To Do Today: During the Middle Ages, around this time of year, a mock religious ritual took place, much like the impious Saturnalia. Normal roles were often reversed, and reverence went by the wayside, replaced by fun and pleasure. I see no reason not to follow the example of our ancestors and give ourselves time to frolic a bit today. Do something that energizes you, inspires you, or makes you laugh out loud. For example, throw yourself a party complete with silly decorations and hats. Watch your favorite comedy flicks with a friend. Or, go out dancing, play video games, socialize with folks who make you feel good, and generally let Thalia live through (and in) your pleasure. throughout my life, joy diffuse. Carry this with you anytime you feel your sense of humor waning. Use Friday to cast for love, luxury, pleasure, and entertainment. Household Symbols: A seashell, a fountain, fresh flowers, your wedding ring or wedding photo, red or pink paper hearts, apples and cherries. Now, there are certain lessons that you won’t find in any books and must learn from experience. Among those are certain etiquettes that you must keep in mind when it comes to interacting with people within your faith. Whilst most are tolerant when it comes to “newbie” mistakes, some might not be. To help you with that, here’s a list of ethics and proper etiquette as well as a few other tips. These starting out. – Every Wiccan knows of the Rede. In it, you’ll find the major laws and ethics that need to be followed. There are no compromises or exceptions, wiccans do have their own rules too. Most sacred circles derive their password from the Rede so add that to the reasons why you need to learn it by heart. – Don’t practice black magic. This is a simple etiquette that shouldn’t even be mentioned but certain situations do call for it. Whilst mistakes are not unusual, causing harm to other people by means of a spell or dark magic is forbidden. Remember that anything you put out there can come back to you threefold. leave an imprint of your energy on what you touch and witches do not appreciate this. After all, if you’re a stranger, then they are unaware of both your intention and energy type. Any negativity that you carry with you can be transferred into these objects so always ask. – Do not be lazy about studying. It is called “craft” for a reason and you must continuously hone your skills. Learning the basics is not enough if you wish to advance and practice more complicated forms of magic. It is a lifestyle as much as a continuous education. The more you know, the better you’ll understand the foundations of the faith itself. It isn’t just a matter of learning to cast spells and forgetting everything else that you need to learn. Study the history and work your way up. – When it comes to researching, always compare and verify the information you get. If you know of an elder or someone who has been a Wiccan longer than you have, ask them questions. There are plenty of resources out there but not all of them would provide you with proper knowledge. Some can mix up different traditions and for beginners, this can become very confusing. – Join a community. Whilst becoming a part of a coven isn’t necessary, becoming acquaintances with people who practice the same faith will be very beneficial to your learning. There numerous forums and websites that should help you get in touch with the right people. Share what you know and gain knowledge from others too. Wicca: Wicca Beliefs, Spells, Magic, and Rituals, for Beginners! 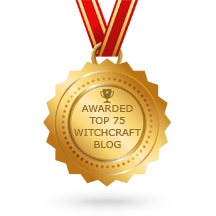 Everything You Ever Wanted to Know About Wicca! Every time I touch you I smile. A blessing I can see. A new attitude I will show. Wear your item and touch as much as possible throughout the day. Today’s message is from Mike Dooley’s Choose Them Wisely – Thoughts Become Things! book. Previous Previous post: We Are Celebrating Eric The Red, Viking Day!